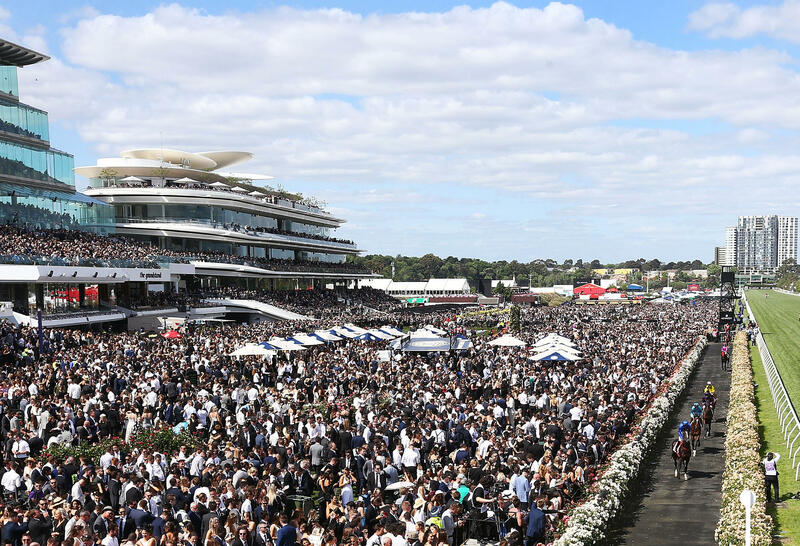 Hope all you Roar fans have recovered after a busy Flemington carnival because I’m back and ready to take you through the final day of the Flemington carnival, where the VRC Sprint Classic and the Seppelt Mackinnon Stakes are our feature races. 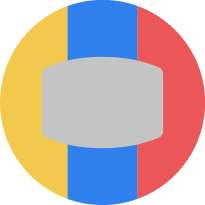 I will be running you through the early quaddie and the regular/late quaddie as per usual, so lets get stuck into it! 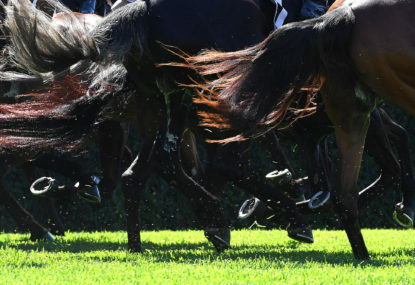 We kick things off here in race two for the first leg of the early quaddie with a 2000-metre race with some handy horses engaged here, but there’s one I’m pretty keen on and I think it’s one of the better bets of the day. 5 Lucky For All stepped up to this distance last start and relished it winning quite well when he was third up at Caulfield, gets to a bigger track here at Flemington which I think he will relish, also has a favourable draw. I believe this horse has future group one potential so I think he wins this race! 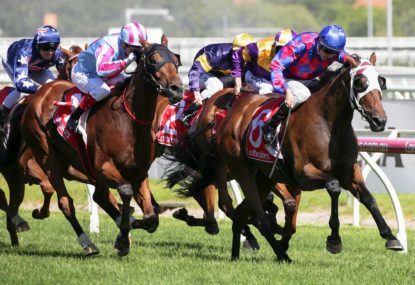 The second leg of the early quaddie sees a bunch of three year old’s tackle the Flemington 1400 metres, some nice types here. 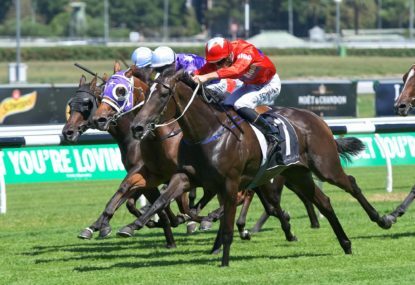 1 Long Leaf ran on well in an on pace dominated race in Guineas Prelude, stuck to the task well last week in the Group 1 Coolmore won by Sunlight, the step up to 1400 metres looks ideal here. 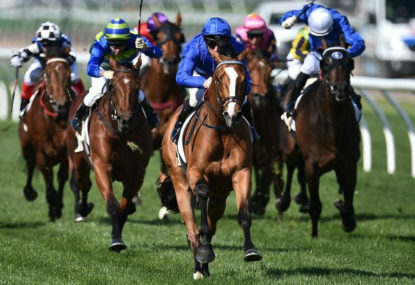 2 Enbihaar got back and never got a crack at them at Moonee Valley she the ran on well when finishing fourth behind Sunlight at Caulfield last start, the step up to 1400 metres looks ideal. 3 Sunset Watch returned a gelding first up winning quite well at Moonee Valley he then went back to The Valley and ran well finishing second to Charge. 4 Yulong January three great on speed victories then led and was annoyed by a horse who lost the rider, just got nailed late on that occasion by Ranier who came out and won again last week in a race which Yulong January was a scratching. 6 Ringerdingding blinkers back on last time and came wide against the pattern of the day, ran home the fastest 1000 metres of the day on that occasion, big track at Flemington here suits. 1 Widgee Turf had a gap between runs into its most recent run and finished second on the occasion behind a smart horse in Iconoclasm who then ran well in a group one. 3 Dollar for Dollar was very good in a group one race two starts back when he worked to the lead and just nabbed late when finishing second behind Jungle Cat, back to 1400 metres is a plus. 4 Dreamforce held ground in the Gilgai Stakes off a freshen up he then went to Caulfield when he was pressured most of the way finishing second behind Sircconi, was a huge run that day! 7 Mr Sneaky was excellent when fresh then was ridden too close second up, he kept closing in the Group One Rupert Clarke Stakes, track and distance suits here. 9 Perast was wide off a strong speed yet battled very well second up, worked hard latest and faded, back to 1400 metres again suits here. 13 So Si Bon held ground when resuming after a gelding operation, copped a bump but was sound to the line, had no cover last week so that was a forgive run and has the blinkers off again here. Rounding out the early quaddie we have a group of handy stayers and some that missed out on the Melbourne Cup! 1 Libran hooked out 700 metres from home in The Moonee Valley Gold Cup and kept closing with the pattern no help, the big track here suits. Lord Fandango was super first up then worked home quite well in the Group Two Herbert Power and last start it was forced wide and ran on against the pattern in the Bendigo Cup. 7 Jaameh only missed Cox Plate fourth place getter Avilius here two starts ago then was solid behind A Prince of Arran last start here. 11 Midterm was way back against a slow speed in the Group One Metropolitan yet ran home near eleven seconds flat, ran out of room last start in the Geelong Cup where he finished fourth behind Runaway on the occasion, gets the blinkers first time here. Kicking off the first leg of the regular/late quaddie we have a 2000-metre Group 2 race for the girls. 1 Aloisia ran home well against on pace pattern at Caulfield where she finished third on that occasion behind Shumookh then went to 1600 metres last start here at Flemington but didn’t quicken, step up to 2000 suits. 2 Savy Coup pulled hard in the Cox Plate where she was disappointing on that occasion she is capable of more than that she is a New Zealand Oaks winner and wasn’t behind Unforgotten in the ATC Oaks, gets the pre-race ear muffs on here for the first time. 8 Sheezdashing weaved through to place here fresh then just got too far back at Moonee Valley and then last start at Cranbourne in the cup she ran on wide from midfield finishing fifth on that occasion, she’s rarely far away and gets the blinkers off first time here. 11 Temple of Bel hasn’t been far away at each run back from a spell has been closing off her races pretty well, ready for the 2000 metres at a big track! 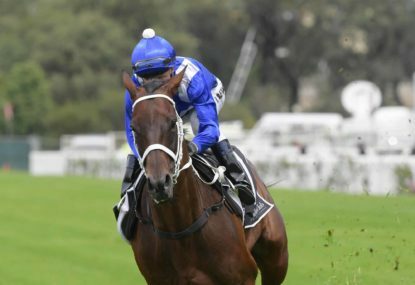 12 Aqua D’ivina was wide with no cover second up yet was too strong then won well into Saturday grade at Randwick, on the rise! 14 Our Libretto former New Zealander who has been in flying form here is yet to taste defeat in Australia, impressed at Cranbourne last start coming from last to win, big track suits here. Here we have the first of our group one races at Flemington with a very good field of sprinters tackling the Flemington straight here. 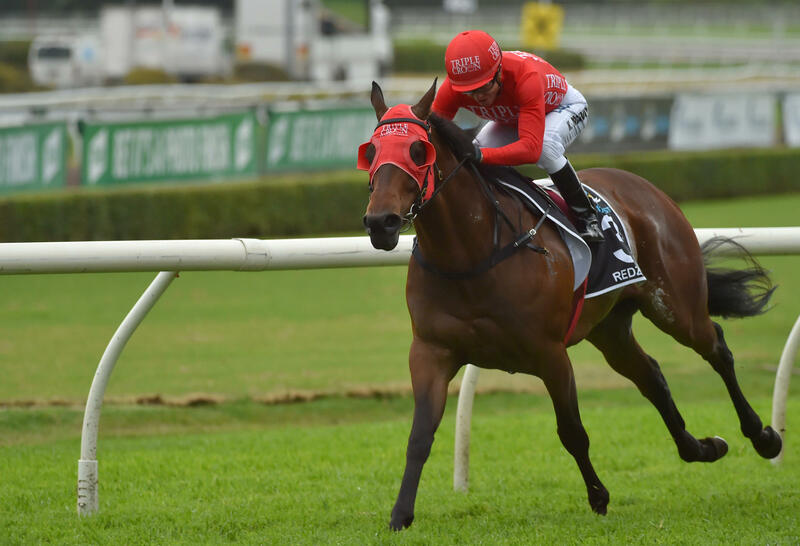 1 Redzel the last start Everest winner was suited on the heavy ground on the occasion won it well by sitting on the pace and kicking away, proven up the straight and is just so genuine. 2 Brave Smash wasn’t suited in the heavy ground in the Everest he then went to Moonee Valley and had the blinkers on in the Manikato which he won with a brilliant ride. 3 Santa Ana Lane ran best closing splits widest of all with 60 kilos first up he then won in record time second up and again was unsuited in the heavy ground in the Everest. 4 Redkirk Warrior resumes here loves this track and the straight, 1200 suits here! Gets the winkers on first time, cross over nose band goes on again and the blinkers off first time. 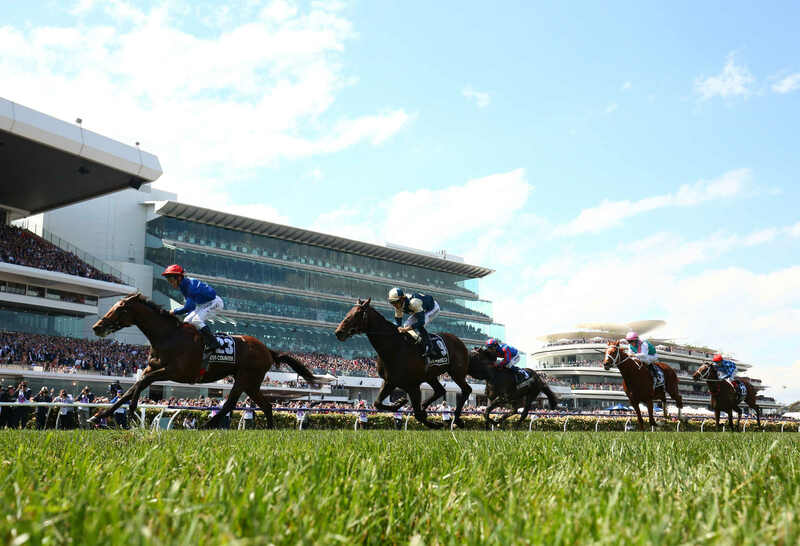 6 Pierata had excuses in the Epsom then sat deep back to 1200 metres and sprinted quickly, great win! 7 Kementari back and wide against the pattern yet flashed home in the Manikato, if he isn’t looking for more distance now he can win. 8 Spirit of Valor charged late fresh then wide yet only nailed late in Manikato, flying here! 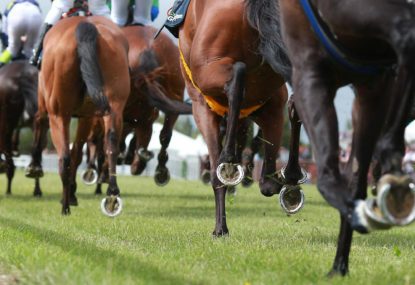 Here we come to the other feature race and Group One of the day where I am keen on the chances of 3 Blair House who I think is one of the better bets on the program. 3 Blair House is a Dubai Group One winner, just missed Benbatl at Caulfield who was a clear second best to Winx in the Cox Plate, clear top pick! 2 Esperance two very good wins on wet in Sydney then back to 955 metres at Moonee Valley with a big weight and pattern, still finished fourth on that occasion, this suits better! 4 Revenire settled last and closed along outside rail first up great run, closed hard when edged out by fellow swooper latest, gets the blinkers first time here. 7 Lagerfield comes off back to back dominant on pace wins and building a good record, in this race! 8 Beacon had a soft rails run then steered to outside and peaked late fresh and then was wide no cover and solid last start. 9 Eurack resumes here, unbeaten in her first preparation and beat two subsequent winners, spelled after all the way win in February, that form is very good! 11 Order of Command resumes here, made good ground on a serious horse two back, bloused wide out last time, will go well here. 13 As It Lies straight to the front and kept going fresh, needs a career best run here but could be still on the up. 18 I Did It Again if it gets into the field here can run well, back a notch last start and was solid but had a chance to win it, needs another win! Gets the blinkers first time here and is up to these. 19 Ocean Deep if it also gets into the field resumes here and looked good winning first two starts, tried in stronger races after that and ran well, given time and must respect here.